Usual hair dyes are full of nasty chemicals which are actually bad for you, the environment, and they damage and dry out your hair. Add the sun to this and your own hair can look pretty grim. Today in our Hair Colour in the Sun, We suggest giving your own precious hair, or new hair, a break and try our amazing Organic Colour! 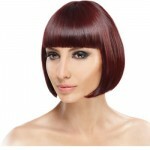 Organic colour is free from ammonia, ppds, ptds and all the usual nasty chemicals. The developer is a pharmaceutical grade and peroxide and formaldehyde free. This means the colour is odourless, kind to your hair and scalp but very effective at colouring and covering grey hair. This system of colour uses organic plant based extracts and the heat of a hood dryer to open and close the hair cuticle, thereby allowing the colour into the hair and to close the cuticle afterwards. 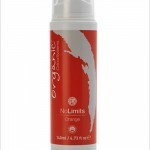 This translates into hair colour that does not dry or break your hair and colour that lasts longer. The downside is that it takes a little longer than usual hair dye to colour the hair, because the natural way does not work as fast as the chemicals, but we have the time at Roches and offer this personal service every Monday exclusively to our hair loss clients in our private rooms. For more information call us on 01 492 6829 and ask for Pauline or Pamela, our colourists at Roches. All of these items are available in Store at Kimmage, Merrion and Eccles St. along with our monthly clinics in Arklow Cancer Support Centre and Gary Kelly Centre. Find out more about our Positive Appearance Workshops HERE. If you need help shopping for any of these items on our online store just call us or book an online consultation and we can help you choose using skype or facetime. The polishes are naturally coloured from vegan ingredients and free of synthetic dyes and fragrances. They arealso 5-free (meaning they’re free of toluene, formaldehyde, formaldehyde resin, DBP, and camphor). This is especially important for our chemo ladies whose nails may be weak and brittle during treatment. 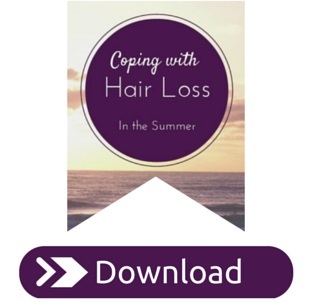 For more great tips on hair loss, coping with hair thinning and more, Get a copy of our eBook – Coping with Hair Loss in the Summer.